On Sunday mornings Kingdom Kids is the place to be no matter what age you are! We run 6 age-appropriate groups for children between the ages of 0 and 14. Each group is jam-packed with fun games, prayer, teaching, arts and crafts and much more. We also have a new group for 14-18s - ‘Awake’ - that meets in a separate venue that focuses on prayer and discipleship. The group also meets for regular social events. Mini Stars (6 months – 3 years) is a safe, fun-filled environment for our youngest church members. 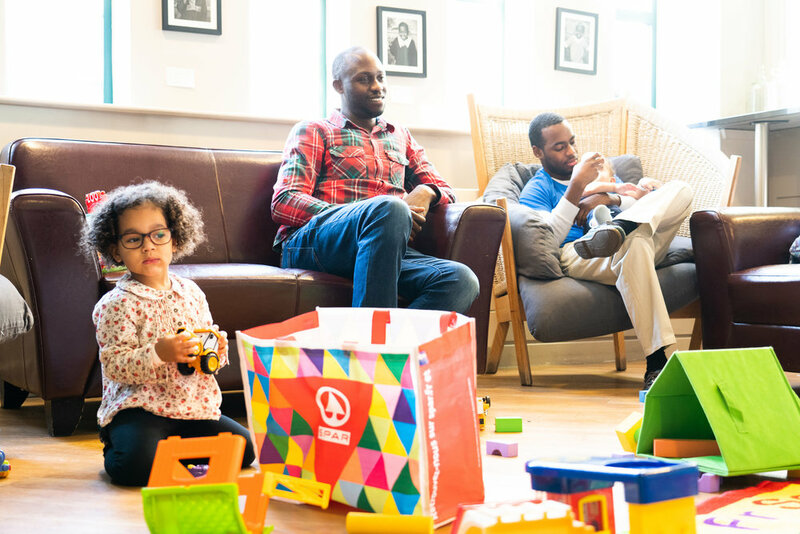 Children aged 6 months to 3 years have their own special space near the piano in the Café area. The area is walled off providing a safe place for little ones to enjoy the toys, story, singing and prayer time. Parents take it in turns to lead this group. If children become upset during the session the leaders will come and get you. 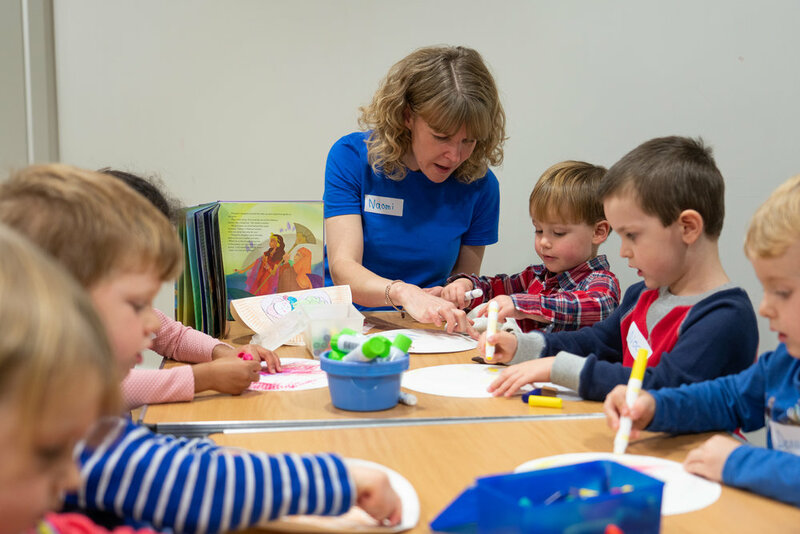 In Big Stars (3-4 years old) we will be spending some time in free play, focusing on a bible study and appropriate craft to illustrate the story. We meet in Meeting Room 2 which is downstairs off the Café. We hope children will settle happily in this fun and safe area. In Shining Stars (Reception and Yr 1) we continue to build on foundations that have already been laid in Big and Mini Stars. We meet on the left side of Crabb Hall and through games, crafts and story we look at applicable topics from the bible. Comets (Yr 2 and 3) meets on the kitchen side of Crabb Hall. We start the session with free play and then some games followed by the story from the bible. This may be a dvd clip or acting out a drama and then we explore how this applies to our everyday lives through various activities including crafts. There will be small group time to enable children to share with one another prayer needs or questions that arise from the teaching. Alive (Yr 4 and 5) meets in the shop space next door to Manna. We begin with free play and then a game as we introduce the topic for the session through drama or dvd clips. We then break into small groups for response and prayer followed by activities such as crafts to help the children apply the teaching to their lives. Ignite (Yr 6-8) meets in the Youth room. We value getting to know each other through games and crafts and value praying for each other as well as engaging with the bible and applying it to our lives. Awake (Yr 9-13) is a new group is for older teenagers. After the all-age part of the service we meet in the Manna Foyer to walk as a group down to 57 High Street. There will be refreshments provided during the sessions which will be focussed on discipleship and prayer supporting teenagers as they navigate all the pressures at school and at home. There is also a programme of social events, such as film nights, ice-skating and other activities, more info can be found on our termly programme. If you’d like to find out any more information or speak to someone about the children and youth work at Christ Church, please contact Jan, our children’s coordinator.